Question : Please provide me GMAT Practice Questions. 1. If a = 3 and b = -2, what is the value of a2 + 3ab – b2? 2. 34 is what percent of 80? For complete question paper you can free download attached pdf file. The Graduate Management Admission Test (GMAT) is a test that has been produced by the Graduate Management Admission Council (GMAC), and is used to help business schools in making admissions decisions. The GMAT test is taken by students who are applying for admission to either MBA or other graduate management programs. The CBT allows more time per question as compared to PBT, having a fewer number of questions than the PBT. Question: Give me some GMAT Preparation tips? BUY GMAT BOOKS OF DIFFERENT AUTHOR. GET PREVIOUS YEAR QUESITON PAPER FOR SEE PAPER PATTERN. 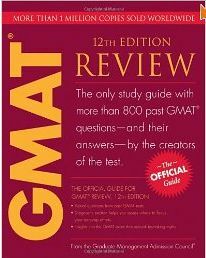 The Official Guide Torrent for GMAT Review, 12th Edition is the only book on the market written by the creators of the GMAT exam. Inside you’ll find more than 800 actual GMAT questions from previous tests with answers and detailed explanations. There’s also a grammar review, math review, actual essay topics, sample responses, and scoring information insights into the GMAT exam that debunk test-taking myths. If you keep using the same techniques on the GMAT that you’re already comfortable with, you can expect to keep getting the same score! If you would like to change your GMAT score, the only way to do so is to change your GMAT techniques—even though at first any new technique is likely to feel uncomfortable and to slow you down. Please provide me GMAT Official Guide in PDF format. underestimate the proportion of job applicants who are dishonest, because____. would be the case if the family remained in Louisiana. B. The governor of Louisiana has falsely alleged that statistics for his state are inaccurate. C. The longevity ascribed to Hawaii’s current population is attributable mostly to genetically determined factors. D. Thirty percent of all Louisianans can expect to live longer than 77 years. B. Environmental factors tending to favor longevity are abundant in Hawaii and less numerous in Louisiana. C. Twenty-five percent of all Louisianans who move to Hawaii live longer than 77 years. D. Over the last decade, average life expectancy has risen at a higher rate for Louisianans than for Hawaiians. equal to that of Hawaiians who remain in Hawaii. The Official Guide for GMAT Review, or GMAT Official Guide is published by the makers of the test, the much needed update of this book has plenty of practice questions and you can download free testing software from the website. The material is paper-based and the software can be downloaded from the GMAC website at official website. Tell me from where I can freely download GMAT Official Guide 10th Edition. A. labor costs in Country Q are ten percent below those in Country Y.
C. the tariff on a radio imported from Country Q to Country Y is less than ten percent of the cost of manufacturing the radio in Country Y.
manufacturing the radio in Country Q.
E. it takes ten percent less time to manufacture a radios in Country Q than it does in Country Y.
at home as a civilian. For complete complete guide I am giving you pdf file and you are free to download it. Question : Will you please provide me the image of the GMAT Official Guide 12th Edition book? 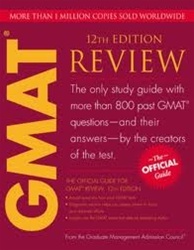 Question: Let me know that from which website can I buy GMAT Official Guide of Edition 12? Ans: You want to online buy GMAT Official Guide of Edition 12 so it is available on various sites like amazon.com. This is a discussion on The Official Guide for GMAT, 11th Edition within the GMAT forums, part of the International MBA category. The Official Guide to the GMAT is one of the best sources for questions. It contains questions that actually appeared on previous administrations of the GMAT. Even though you won’t see these exact questions on the exam in the future, you can be sure you’ll see some questions that are very similar. GMAT Prep Software is another good choice. Comprised of actual questions that have appeared on previous exams, it contains two full-length practice exams as well as tutorials on various components of the GMAT.